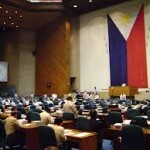 The passage of the RH bill in both houses is the fulfillment of the long time wish for the majority of the Filipino people in addressing the socioeconomic and environmental problems of the country that are brought about by an ever-increasing population growth after the bill lays dormant for 13 years. The controversial bill was passed in an overwhelming 133-79 votes with seven abstentions in the House of Representatives while the Senate also approved it with a vote of 13-8. President Benigno S. Aquino III, who had earlier certified the measure as urgent, considered the RH bill, a step towards integrating responsible parenthood and family planning components in anti-poverty and other sustainable development programs of the government by promoting the people’s right to health, especially the poor and marginalized. 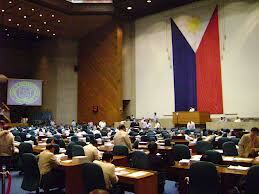 The bill was approved in both houses after thorough discussions, opinions and firm views on the matter were heard. It was clearly an exercise that took place within a healthy and vibrant democracy. The majority of the Filipino people have made their decision towards informed choices within their families. While there are still steps to hurdle towards full passage of this bill into law and onto implementation, both the House of Representatives and the Senate stood up for fulfilling the needs and desires of our people. It was also a concerted effort by the entire team of pros and antis advocates alike that culminated in the majority decision. But despite the Church’s opposition, surveys conducted by independent pollsters show that majority of the Filipino people is in favor for the passage of the RH bill.